On 18 November 2016, nearly 200 countries attending the Conference of Parties (COP) 22 in Marrakech, Morocco, have adopted the Marrakech Action Proclamation for Our Climate and Sustainable Development. All the parties pledged to move forward on fully implementing the Paris Agreement on Climate Change, which entered into force on 4 November 2016. They called for "the highest political commitment to combat climate change, as a matter of urgent priority" and "strong solidarity with those countries most vulnerable to the impacts of climate change." In the wake of the election of Donald Trump as president of the United States, concerted international efforts to sustain climate finance for developing countries will be under threat. President-elect Trump has repeatedly stated that he does not believe in human-induced climate change. During his campaign, he promised to withdraw the United States from the Paris Agreement if elected. Trump's policies will likely make it harder for developing countries to obtain the finance they need to combat climate change, threatening one pillar of the Paris Agreement. Technically, it is not easy for the United States merely to pull out of the agreement. Its entry into force means that governments must face up to their responsibilities. However, the agreement is largely non-binding and does not legally require the country to reduce its emissions. An apparent consequence of withdrawal is that the United States will lose its political position and trust along with other potential economic loss. The decision could also unseat the Trump administration in the next election in four years. Under that scenario, other G20 members have faced challenges in maintaining significant financial support as well as international consensus when addressing climate change. On the one hand, G20 members, including the United States, have remained the key contributors to global climate finance, including the Green Climate Fund. As of November 2016, the Green Climate Fund has raised the equivalent of $10.3 billion in pledges from 43 governments, including $3 billion from the United States and around $5.7 billion from other G20 members. In addition, the United States has led in establishing international technology cooperation agreements, including climate-friendly technology transfer to developing countries. On the other hand, the G20 has become a crucial ad hoc venue for compromising decision-making processes at the global level, including climate change as a key issue. An international agreement will not bind any of its parties until a large enough number and particular countries or types of countries have ratified it. In this case, as a main emitter the United States needs to be actively engaged in international efforts to mitigate climate change. In order to prepare for these predicted challenges, the G20 needs to ensure the full compliance of its members to their existing commitments, especially ones relating to climate change. Justifications of climate finance targets might be needed, potentially including reducing the pledging amounts and the transformation to non-monetary assistance. It is now up to the European Union and China to take the lead from the United States in contributing to climate finance. Hanh Nguyen is a researcher with the G20 Research Group and the G7 Research Group, and the winner of a bronze medal from the Centre for International Sustainable Development Law for her essay on harmonizing domestic policies with international agreements on climate change mitigation, presented in Marrakech, Morocco, on November 11, 2016. 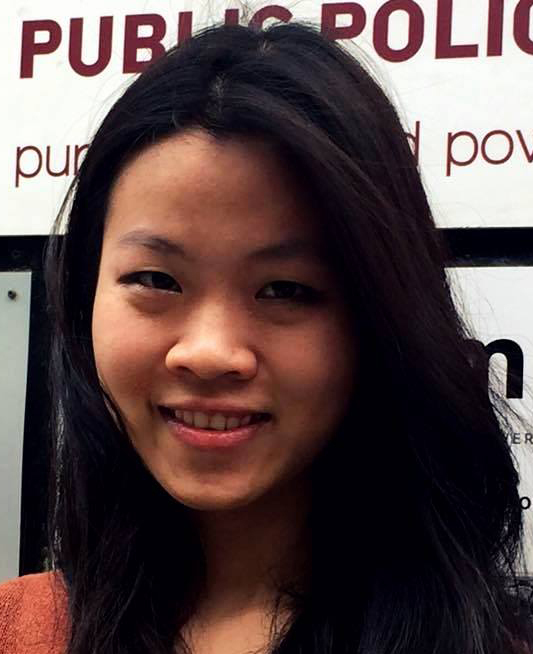 She has worked on several regional climate change and development projects based in Vietnam. She has also undertaken research in Vietnam, Thailand and Hungary with the focus on economic development and public policy. She is recently contributing to the climate change compliance report aiming at assessing the commitment of G20 members. In addition, she is doing research on the relationship between women leadership and climate governance. Hanh is in charge of data analysis and quantitative evaluation of G7 and G20 compliance catalysts. She is currently pursuing Master of Public Administration at the Central European University in Budapest, Hungary.